Emergency Deploy Ladder with strong plastic steps. Packed in a nylon case designed to be permanently attached to the rail. 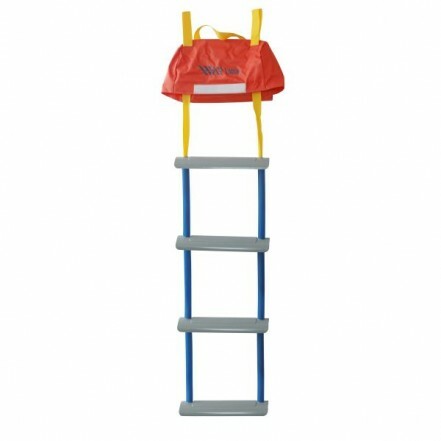 A webbing rail is left trailing from the case so the ladder can easily be deployed by a person in the water. A vital piece for the single-handed sailors.